The Twin Top overbed table can be used over a bed, or chair. 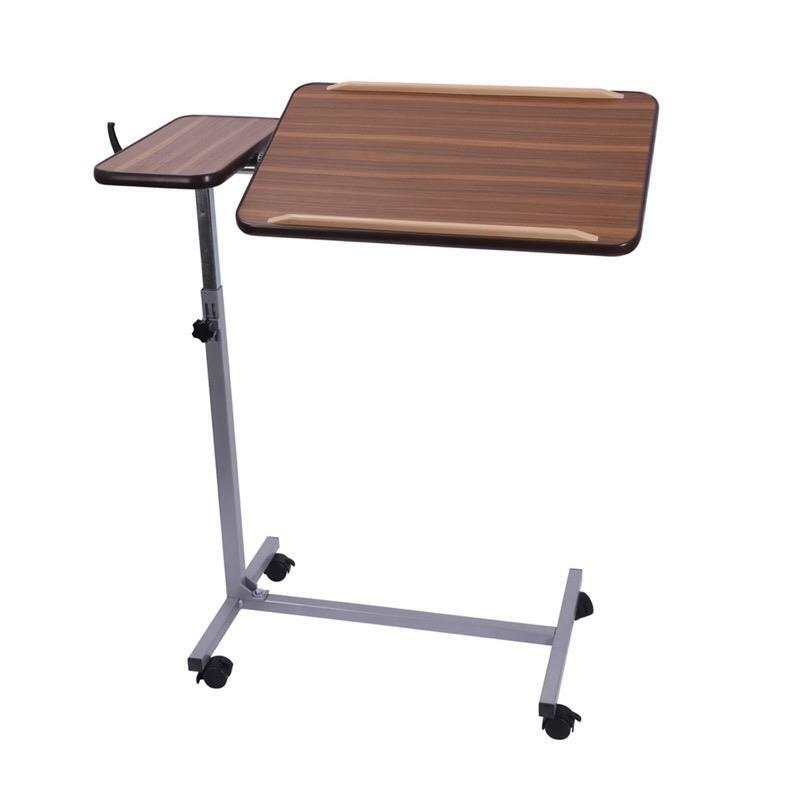 The twintop version has a main section which can be angled towards the user, ideal for holding a book or magazine, and a fixed side section providing a perfect space for a drink or other small items. The over bed table is height and angle adjustable. It is simple to assemble and have a melamine coated top and lipped edging which is ideal for preventing your magazine, jigsaw etc from slipping off the edge. A 4" raise is needed to get the legs of the table under a bed. Table top is dark brown in colour. Delivery of this product will be made directly from our distributor in approximately 5 working days. The product is supplied with comprehensive set-up and user instructions.